The acquisition a few years ago of British boatbuilder Moody Yachts by Germany’s Hanse set the scene for an unlikely marriage. Moody was known for solid, staid cruising boats, built for comfort, not speed; Hanse’s spectacular growth during the previous decade had been fuelled by an attractive line-up of fast cruisers that combined zippy performance and sporty lines with brash interior design. What manner of offspring would spring forth from this union? Bill Dixon, chief designer at Moody for two decades, set to his task with a will. The first Moody to issue forth from the Greifswald, Germany, delivery room drew a collective gasp of shock from the boating world; the 45 DS had nothing in common with its ancestors, except that it floated. No more sensible but unexciting center-cockpit styling; here was a radical-looking boat that threw conventional ideas about accommodation layouts right out of the porthole. A huge deckhouse with a targa-style top brought seating, cooking, and dining areas together on one level; only sleeping quarters and heads were belowdecks. As you’d expect, few people were neutral about such a bold concept; they either hated it or loved it. Encouragingly, the reception from owners of traditional Moodys was largely positive. 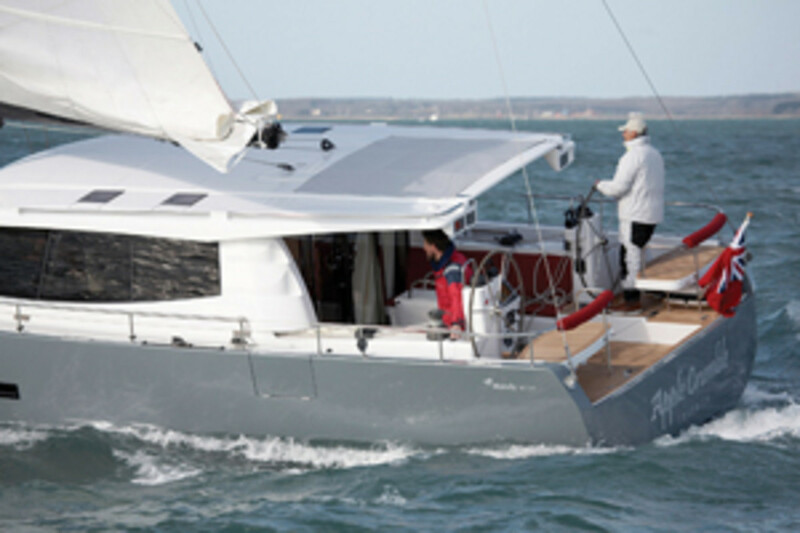 The DS looks to me like an ideal warm-climate coastal explorer, blending the rewarding sailing feel of a monohull with the ergonomic enticements of a cruising catamaran. Though it is being marketed as a “world cruiser,” the boat’s open transom, large windows, and glass sliding doors are not features you’d normally associate with such a role. 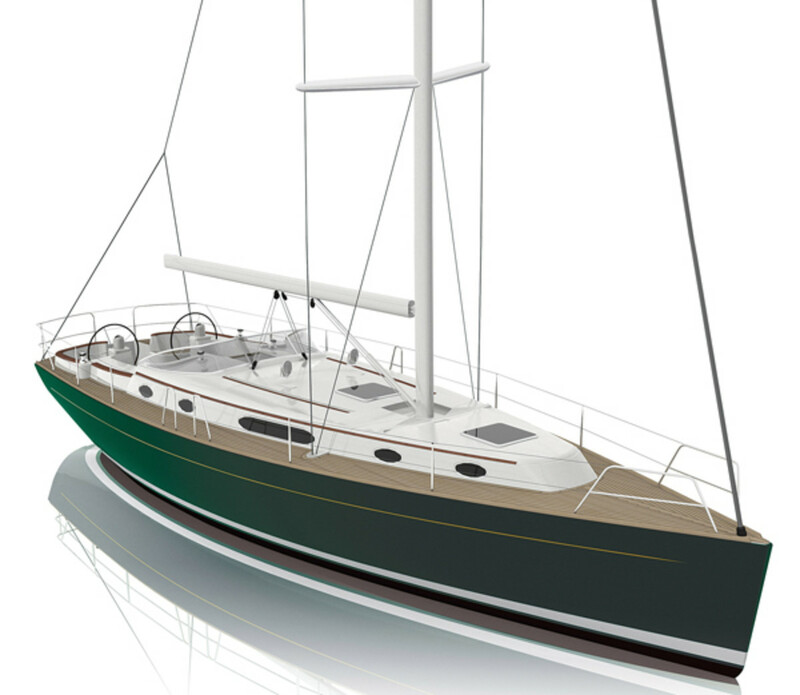 The 45DS has been in production for over a year, and a 62-foot version is on the drawing board—more on that soon. The latest Moody, introduced in January, is another departure altogether. The 45 Classic, also designed by the versatile Dixon, will be altogether more palatable to traditionalists. Below the waterline, fine hull lines and foils sculpted for performance offset the traditional look of the cabintop and decks. Twin wheels and a Scandinavian-style hard windscreen set a tone that continues belowdecks with glossy mahogany woodwork and quilted leather upholstery. The tall double-spreader rig is biased towards the mainsail and carries a self-tacking jib that should make this good-looking cruiser a snap to sail. We’re still waiting to see if either of these boats will make it across the Atlantic for the fall boat shows, and we’re looking forward to sailing both of them.